Incarceration is inextricably linked to the power of the state, and is arguably the manifestation of the greatest power the state has over a citizen: the power to deprive him of liberty. As Morris and Rothman write, “Prison embodies the largest power the state exercises over its citizens in time of peace.”1 Captivity played a key role in Ancient Greece, Ancient Rome, and the Antebellum South — three societies that differ greatly from each other in terms of their fundamental structures, central beliefs, and primarypolitical concerns. And yet, despite their differences, captivity has consistently been employed as an instrument for the maintenance and performance of state power. Greek playwright Aeschylus (d. 456 BCE) describes the brutal punishment of Prometheus at the hands of tyrannical god Zeus in Prometheus Bound. After Prometheus outrages Zeus by bringing fire to mankind, Zeus chains him to a rock where he is left to suffer. He eventually sinks beneath the earth, and reemerges to be attacked by an eagle who eats his liver. Besides the brutality of this punishment, another striking feature of the play is Prometheus’ claim that his captor, Zeus, represents a certain kind of political power: tyranny. 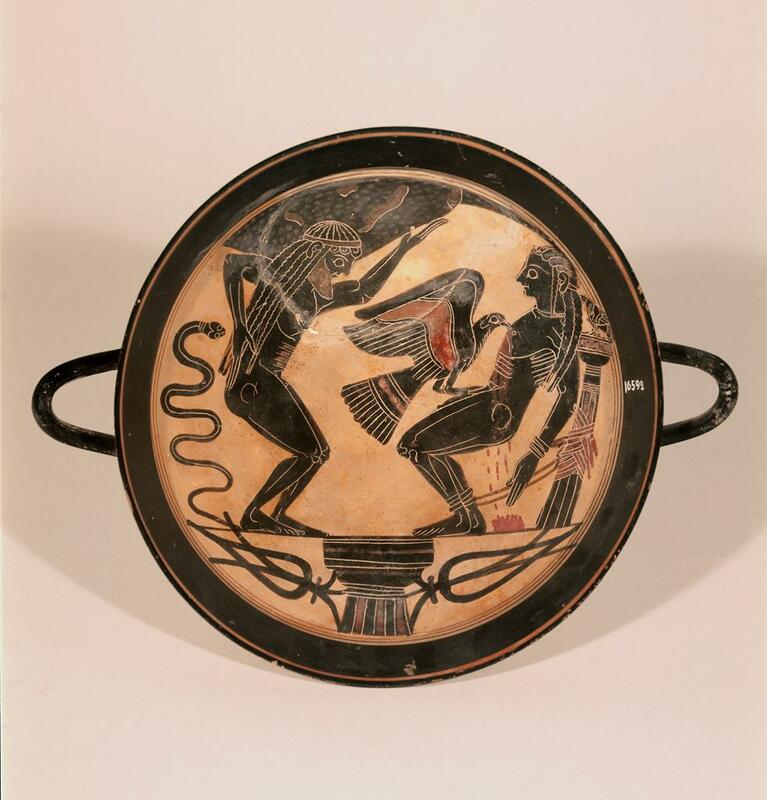 Prometheus' punishment, Greek kylix, ca. 550 BCE. Courtesy of: Courtesy of SCALA, Florence/ART RESOURCE, N.Y. The play’s concern with tyranny reflects the importance of democracy and regulation of state power in Ancient Greek society. The city-state or polis was of central importance, with Aristotle defining humans as “beings who live in a city-state.”2 In Athens, democracy was to be maintained at all costs, through imprisonment or, more commonly, exile. Citizens periodically voted to exile the man in the city-state they believed to be most popular and therefore capable of becoming a tyrant by writing his name on an “Ostrakon,” a potsherd used as a ballot. Aeschylus’ discussion of captivity as an instrument of state power reveals Ancient Athens’ preoccupation with captivity in the context of regulation of state power and maintenance of democracy. Captivity also played a crucial role in the Roman imperial project and was used deliberately as a tool for expanding and displaying political power. The vast expansion of the Roman Empire was done partly diplomatically, but largely militarily, often through taking young hostages from neighboring territories in military endeavors. 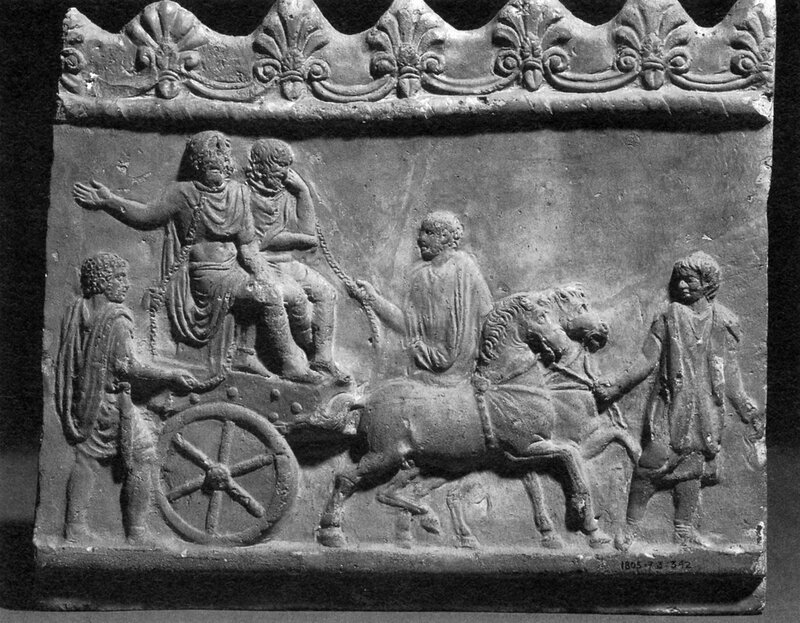 In a grand performance of political power, the victorious emperor would ride into Rome in a chariot, herding young boy hostages taken from the defeated party in procession. The taking of captives was thus synonymous with military triumphs and celebration of the ideology of empire. In addition to the hostages’ role in the performance of Roman state power, they also contributed to the maintenance and expansion of empire. Young, impressionable male hostages were taken from North Africa and other defeated territories and held for as long as 50 years to ensure the defeated parties’ adherence to post-war conditions and to be “Romanized.” Hostages were treated as elite members of society and thus encouraged to identify with the Romans. This project of intentional Romanization culminated in inviting each hostage to collaborate with the Empire by returning to his homeland and ruling his people as a Roman. Lastly, slavery in the Antebellum South — a modern situation of captivity — was deeply embedded in the structure of the state. With approximately 4 million slaves in the U.S. by 1861, the nation’s economy was heavily reliant upon slavery. 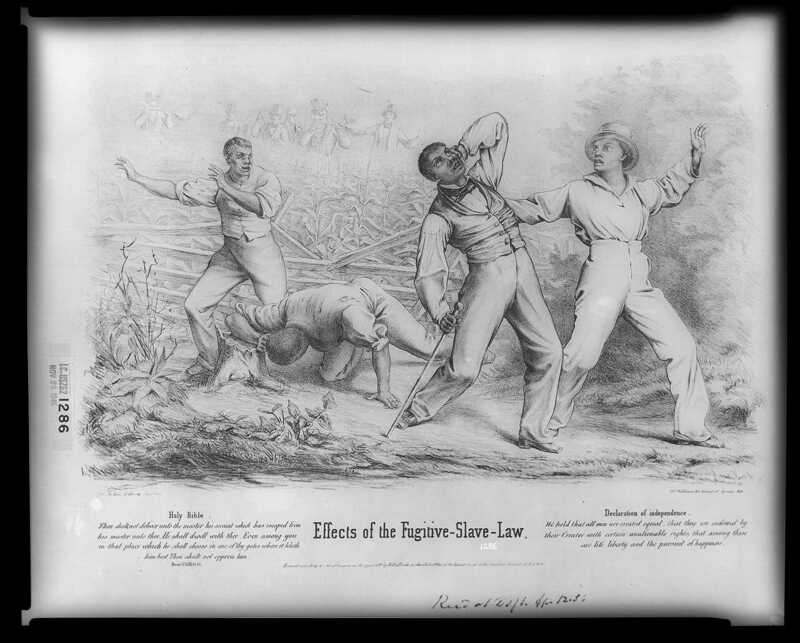 The state therefore imposed an unprecedented denial of legal personhood on black bodies and controlled their liberty and movement through the 1793 Fugitive Slave Act. Under this law, anyone had the right to apprehend a black person thought to be a runaway slave, and the burden of proof fell on blacks. 1 Norval Morris and David J. Rothman, introduction to The Oxford History of the Prison: The Practice of Punishment in Western Society, ed. Norval Morris and David J. Rothman (New York: Oxford University Press, 1995), xiii. 2 Thomas R. Martin, with Neel Smith & Jennifer F.Stuart, “Democracy in the Politics of Aristotle ,” in C.W. Blackwell, ed., Dēmos: Classical Athenian Democracy (A. Mahoney and R. Scaife, edd., The Stoa: a consortium for electronic publication in the humanities), edition of July 26, 2003. 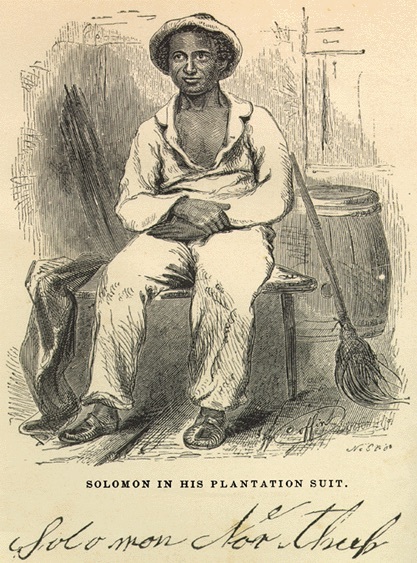 3 Solomon Northup, Twelve Years a Slave (New York: Penguin Press, 2012), 31. 4 Nelson Mandela, Long Walk to Freedom: The Autobiography of Nelson Mandela (New York: Little, Brown and Company, 1994), 207.